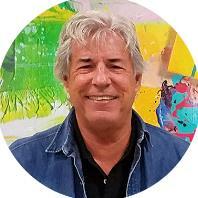 I am an abstract painter who began in SoHo, New York, and was one of the pioneers of the Abstract Illusionism movement that started there in the 1970’s. The defining elements of this style give the illusion of depth as abstract elements appear to be floating above the canvas. Currently I am using various techniques to provide the viewer with intertwining and contradictory images. 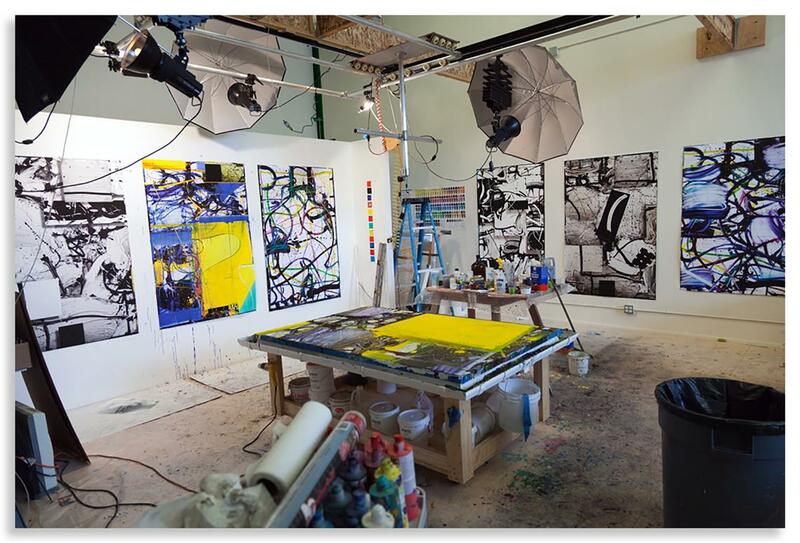 Paint, airbrush and camera work in concert with high-tech digital printer, canvas and paper to provide a dynamic, visual experience. I am also experimenting with 3-D digital printing for future works. My inspiration and titles sometimes come from an experience or place that I’ll be thinking about as I start working. Then the colors, shapes and forms flow from that. Many times, though, I’m just working directly out of my head. Oftentimes people say they “don’t get it,” but a viewer doesn’t need to understand it. It resonates with the child in each of us…that part of us that is still able to have fun.…to wonder….to pretend.…to fantasize….and to believe in magic.